Irfan Rasul was an International student from Bangladesh, where he finished his B.S. in Civil Engineering from Bangladesh University of Engineering and Technology (BUET). Irfan completed his MS in Civil Engineering at Michigan Tech, with an emphasis in transportation. His course work included rail, modeling and GIS related courses. Irfan was a graduate research assistant for the Upper Peninsula Freight Rail Study and his MS Project title was “Evaluation of Potential Transload Facility Locations in the Upper Peninsula (UP) of Michigan”. 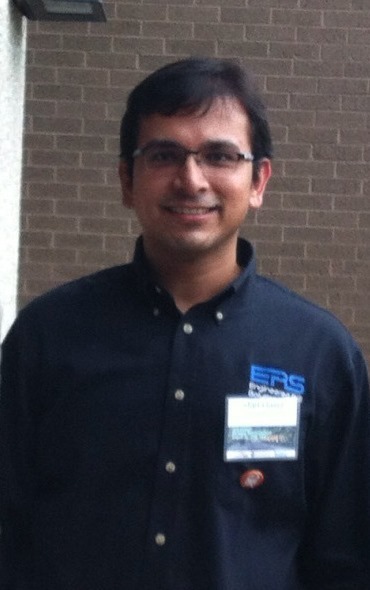 As of May 2014, Irfan has been working as Staff Engineer - Intern for Engineered Rail Solutions, LLC (ERS) at McHenry, IL.